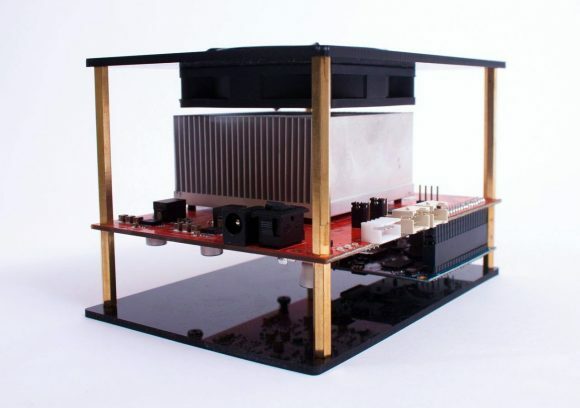 It seems that there is another product appearing on the market in the form of a X11 ASIC miner from a third company, though this one is apparently targeted at the Chinese mining community – the X11 ASIC Baikal Mini Miner. The miner apparently is capable of providing about 150 MHS X11 hashrate with a power usage of about 40 Watts thanks to the use of 40nm production process for the ASIC chips. There is no clear information about exact price, but it should be around 1-2 BTC or the equivalent in USD, though some shops have listed the device at a higher price than that. It is good to see more alternatives, but the big question is if the X11-based crypto coins are capable of handling the massive new hashrate that is provided by the ASIC miners that are getting produced at a fast pace with the competition heating up. It seems that the miner uses a board like Raspberry Pi for providing a web-based interface for control and monitoring of the mining process and there is no need to plug it in to a computer, all you need is power and a network cable plugged to the device. With the right price and availability outside of the Chinese markets this device can be an interesting option for home miners due to the relatively simple open design and the lower noise level, so you might want to keep an eye out for the Baikal X11 ASIC Mini Miner. For the moment we have not been able to find a way to order one of these devices to do a proper review, but we are going to keep trying. How can I write to them directly if I don’t speak Chinese? I want 1 or 2 these miners for the fair price $440-450. Russian resellers offers it for $1000. Hi, where to buy this at about ~ 1.00 BTC. Exactly!) Ibelink 384 is the best choice by far! Thanks Admin !!! In Russia with customs and shipping it can be bought from $ 2970 to $ 3250 !!! Ребята кто знает название или номер телефона производителя!? Guys who know the name or phone number of the manufacturer !? You have any questions you can contact us. Hi, admin is the above the real mail? Can’t confirm if this is official contact information or not, it has been posted by a user, we have had no direct contact with the maker of this ASIC device, so treat with caution! It is available to order on http://www.itopshop.net for batch 4. The voltage is 12V the product .